Anne Arundel County Police Bike Patrol are the first in Maryland to obtain the C3FT technology used to enforce and educate drivers on the 3 foot passing law. The technology was obtained through a Maryland Highway Safety Office grant and will be rolled out during 2018-19. Click for a VIDEO on how it works and is used by law enforcement. In this photo Cpl. Dominic Scali demonstrates at the AACPD HQ while hosting the Maryland Bike/Ped Advisory Commission in August, 2018. During the 2018 session BikeAAA worked closely with Bike Maryland and other advocates to secure new bike safety legislation. We also had the benefit this year of the work done by the Maryland Bicycle Safety Task Force created by the legislature in 2017, appointed by the Governor over the summer and completed its Final Report which you can find at the preceding link. The Task Force included 4 advocates including two from Anne Arundel County – Jack Keene and Jon Korin. The report has dozens of recommendations in a variety of areas including Funding, Infrastructure, Policy, Outreach/Education and Legislation. For a recap on the 2018 Maryland Legislative Session, read BikeMaryland’s Summary. 2. Safe Passing of Cyclists – Address narrow road exception in current 3 foot passing law by allowing safe crossing of the double yellow line following the example recently set in a new Delaware law. This has been a multi-year effort and again a good bill was made progress but was not passed. We will go after this again in 2019. 3. Stronger commitment to Complete Streets – Strengthen the commitment to Complete Streets by extending it from SHA to other agencies including MdTA (e.g. bike lanes on the new Nice Bridge) and MTA (HB0744 and (SB0850). There was also a bill that promotes Complete Streets for Maryland Counties and Cities ( HB0535 and SB0407). Both bills were passed into law after being somewhat weakened. MdTA was deleted from the former bill and funding was taken out of the latter. 4. Comparative Negligence – In Maryland and a just a few other states if one party is found to contribute even slightly, say 1%, to a crash then that party may be denied recovery of damages under the doctrine of “contributory negligence”. 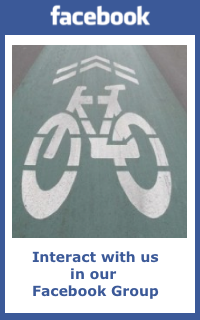 This is grossly unfair to cyclists that are hit by vehicles. SB0465 addresses the problem with a narrow carve-out modeled on a recently passed D.C. law. This is a very complex issue with broad-ranging implications for Maryland beyond cyclists. It did not get out of Senate committee. 4. Other Initiatives – We are also working for more state funding for bike infrastructure especially in the MD Bikeways program; safe biking and walking routes to school; and other bills that promote general road safety dealing with distracted driving and the like. HB285 providing for an assessment of safe routes to schools was passed unanimously by the House and Senate and signed by the governor.